Milwaukee radios will provide you with the perfect soundtrack to your working day. Whether you want some music to lift your spirits or to stay up to date with news and events while you work, a Milwaukee DAB radio will deliver it in style and quality. Milwaukee jobsite radios are weatherproof and so can be used when working indoors or outdoors. They are also strong, constructed from steel and featuring a shock absorbent ABS polymer that will protect it if dropped or from other impact damage. Small Milwaukee radios such as the C12JSR are ideal for use in a trade environment or on a DIY project. They are cordless, so can be moved around and positioned easily without causing a trip hazard. They are also designed in a way that means they can be cleaned quickly and without any fuss. With an eight-hour run time, Milwaukee DAB radios will play all day without the need to recharge the battery. 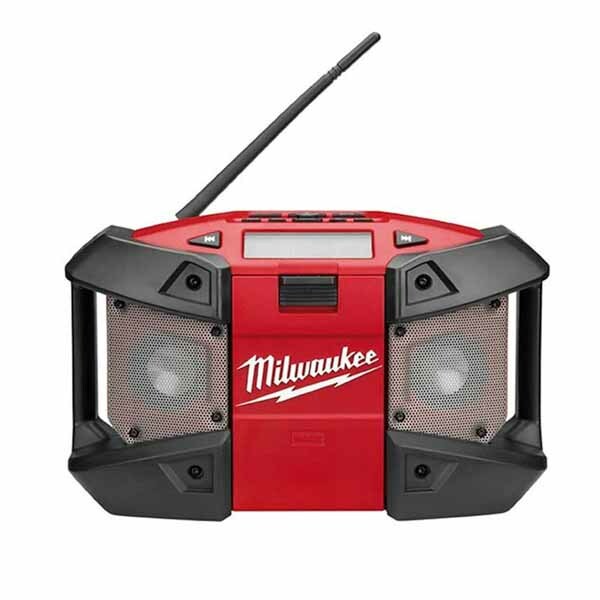 If you decide you would like to hear your own playlists, then a Milwaukee digital radio will oblige, as it has weather sealed auxiliary compartments where you can attach an MP3 player or other audio device. Bought as a standalone or as a bundle, containing a battery and a charger as added extras, the C12JSR represents the ultimate workmate, it is small, robust and offers sound quality that is outstanding. Buy a Milwaukee DAB radio from SGS Engineering today and let the entertainment begin.